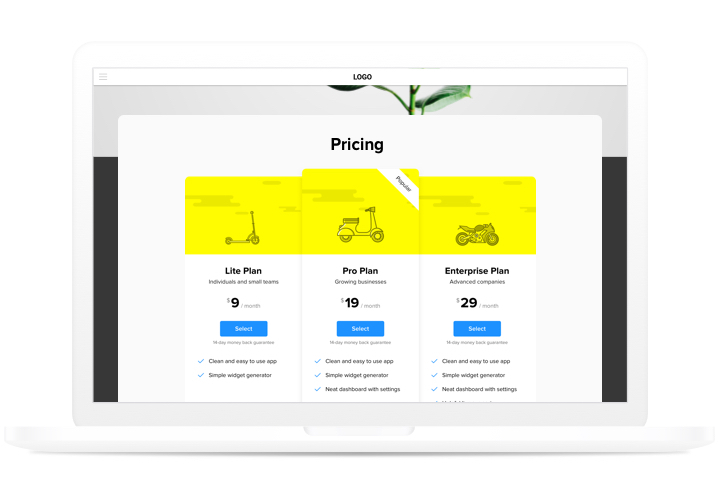 Pricing plays one of the key roles in motivating users to buy. Widget by our team not only helps shoppers of the website to examine and analyze available price offers very quickly. It also contributes to boosting conversion by means of the advanced features of interface and templates. Raise sales of your website to the next stage, with the help of effective pricing. Engage the most powerful tricks of the interface, to crash any fears customers have while taking a steps to buy, and get the maximum conversion. Setting widget in just 50 seconds. Give just several minutes, to shape the best widget. Apply any necessary configurations of design and content to show it in only several steps. Make your offers exciting for clients. Choose any colors, show a table, and pictures to make your pricing entertaining for clients and bring positive influence to the purchasing result. 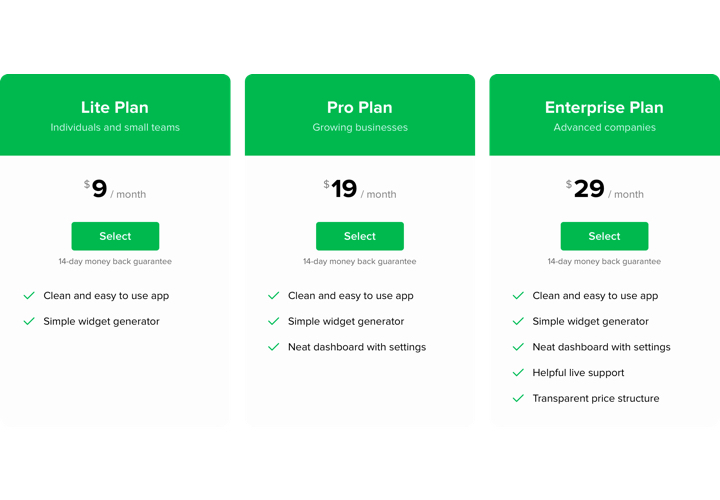 The characteristics that make our widget the best Pricing Table for Blogger websites. An instruction on embedding our widget to a Blogger site. To carry this, you don’t need to have competence in web development or much time. Only a couple of simple actions and 2 minutes. 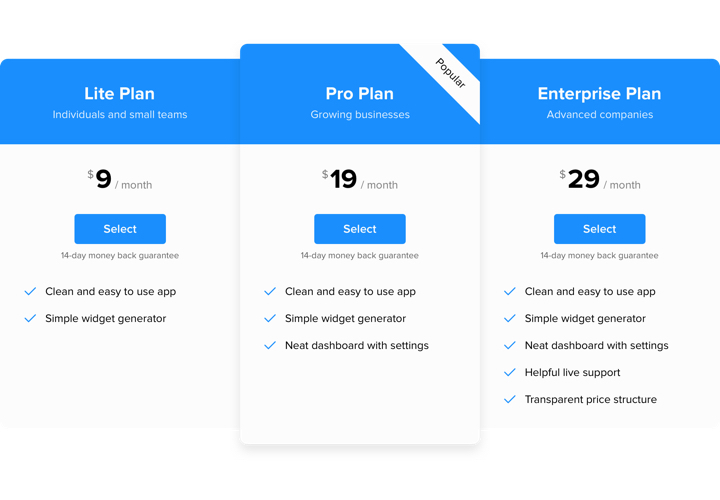 Generate your custom-made Pricing Table. With our free configurator, create a plugin with desired template and settings. Receive the code for installing the plugin. 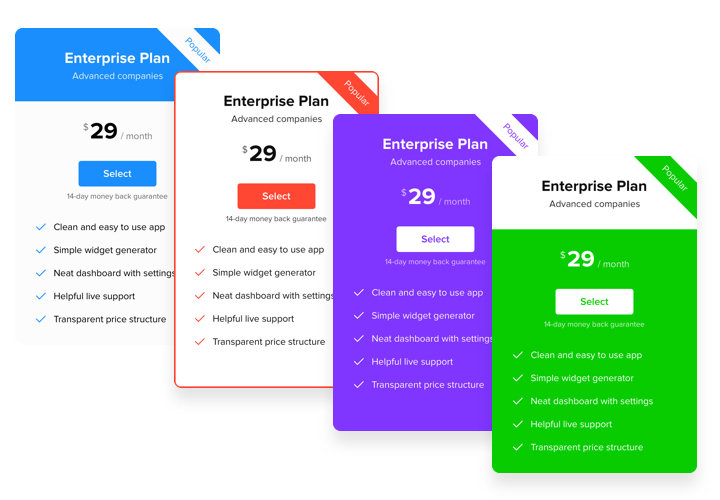 After widget customization, acquire the code for Pricing plugin from the appearing window on Elfsight Apps. Embed the plugin on Blogger website. Place the plugin to the necessary place of the website and publish the results. 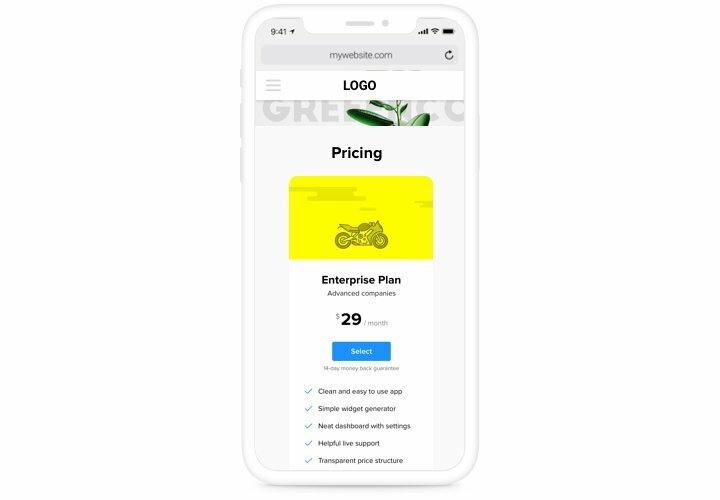 Enter your site, to see your pricing. Experiencing issues with setting up of the widget? Check our detailed instruction «How to display pricing table into a Blogger» or contact at our support team, which will solve all kind of troubles with pleasure. 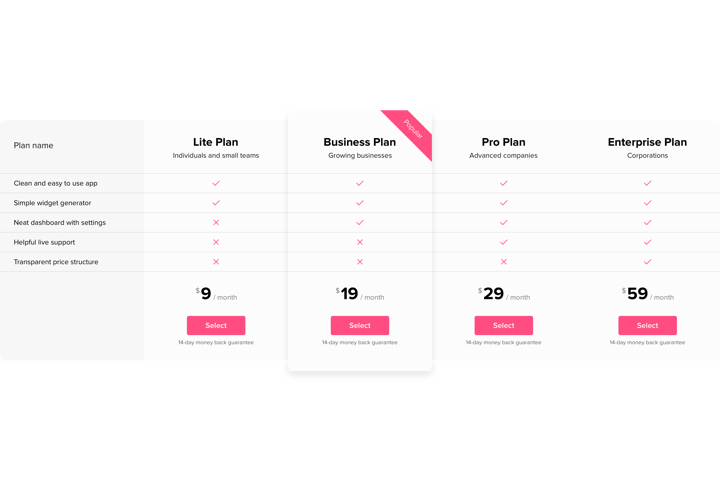 Create the best Blogger Pricing Table in only 3 minutes!